Bahá'u'lláh has enjoined upon His followers to teach His Cause, and this commandment has always been carried out by every sincere and true Bahá'í. In the early days of the Faith the believers in Persia were devotedly engaged in awakening the souls, but each one played his part in accordance with his ability. Not everybody was able to speak about religion. The actual work of teaching, adducing proofs and confirming people was usually left to those who had the gift of knowledge and the understanding of religious subjects. As we have said, these individuals were known as muballigh (teacher). In every locality there were usually a few knowledgeable believers who were thus named and who were available to discuss the Faith in private meetings with people who had been contacted by individual Bahá'ís. * see vol. 2 pp. 91-106. These teachers of the Cause usually had a deep understanding of the Faith and were well versed in the Writings of Bahá'u'lláh and in the Holy Books of the past. Most of them were learned people, but there were some very successful teachers who were illiterate or had very little education. We have discussed in a previous volume* the difference between the ability to understand spiritual truth and the gift of knowledge. The former comes through having faith and being detached from earthly things, while the latter comes through learning. There have been some individuals who had great knowledge of the Faith, but did not understand its truth. On the other hand, there were many who possessed the two. The outstanding qualities possessed by most teachers of the Cause in those days were a passionate love for Bahá'u'lláh which made them radiant souls, and a deep understanding of the Faith whether educated or not. 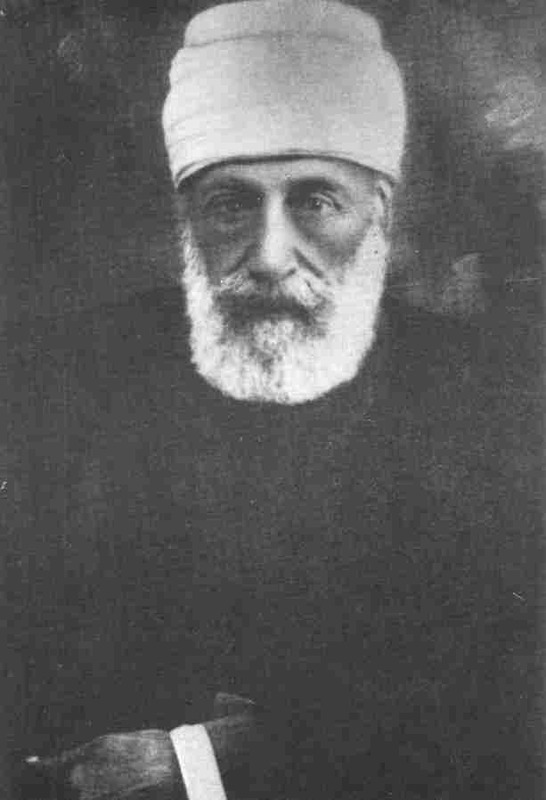 In the absence of any institutions of the Faith such as local and national spiritual assemblies in the days of Bahá'u'lláh and 'Abdu'l-Bahá, a muballigh would play a significant part in deepening the friends in the knowledge of the Faith as well as helping and encouraging them to discharge their duties in the field of teaching. * see vol. 3, pp. 94-6. 1. Unpublished compilation, National Archives Committee, no. 27, p. 281.
believers in their teaching work and brought a great many souls under the shadow of the Cause of God. This practice continued during the ministries of 'Abdu'l-Bahá and Shoghi Effendi, and as the numbers grew there were two categories of muballigh: the 'local' and the 'travelling'. When the national institutions of the Faith were established in Persia one of their important obligations was to ensure that in every locality there were some individuals who could function in the capacity of a muballigh. Parallel with the duty of teaching the Faith is the principle of conducting the affairs of the community through the process of consultation which Bahá'u'lláh has ordained in His teachings. Before the establishment of the institutions of the Faith, important decisions, whether concerned with the local community or an individual, were often taken by consultation among a few teachers of the Faith and others who were older and more experienced Bahá'ís. As we have already stated, the practice of naming certain individuals as muballigh continued during the ministries of 'Abdu'l-Bahá and Shoghi Effendi. When the local spiritual assemblies were constituted in Persia during the ministry of the Guardian, he advised that the spiritual assembly in its decision-making process ought to pay special attention to the views of the muballigh in the area and try to implement his advice. * The first contingent of Hands of the Cause were appointed in 1951. Auxiliary Board Members and their assistants, seems to be carrying out the same functions which were once allotted to those teachers of the Faith entitled muballigh on the international, national and local levels. It must be stated, however, that there are today a great many teachers of the Faith, highly knowledgeable, devoted and active, who render notable service to the Cause but are not members of this institution, and therefore do not have certain responsibilities in relation to the Bahá'í community. These responsibilities, apart from teaching and encouraging the believers in their service to the Cause, include consultation with the local and national spiritual assemblies, responsibilities which are not unlike some of the functions of the muballigh in older days. During the last few years of His life Bahá'u'lláh chose four of His devoted followers and designated them as Hands of the Cause of God. They were Hájí Mullá 'Alí-Akbar-i-Sháhmírzádí, known as Hájí Ákhúnd; Mírzá Muhammad-Taqí, known as Ibn-i-Abhar; Mírzá 'Alí-Muhammad, known as Ibn-i-Asdaq; and Hájí Mírzá Hasan, surnamed Adíb. These appointments, so far as we know, did not take place at one time. Also, they did not take the form of announcing their names to the community or outlining their functions in one special Tablet. With the exception of Mírzá Hasan-i-Adíb, who embraced the Faith about three years before the ascension of Bahá'u'lláh, the other three Hands of the Cause were long-standing believers. They were the recipients of many Tablets in which, over the years, He showered upon them His blessings, guided their steps, praised their work and exalted their station in glowing terms. In these Tablets He often refers to them as 'the Chosen Ones', 'the loved ones', 'the detached souls', 'the pure in spirit' and similar designations. appointed around the same time. There is a Tablet revealed in honour of Ibn-i-Abhar dated 24 Sha'bán 1306 (26 April 1889) which makes it clear that he had already been designated a Hand of the Cause. The present writer has not been able to find a definite date for the appointment of Hájí Mírzá Hasan-i-Adíb. He was the last appointee, as he only became a believer around 1889. Perhaps it is true to say that for quite some time the believers did not appreciate the significance of the appellation 'Hand of the Cause' and the implications of designating certain individuals as such. One may think of two reasons for this. First, Bahá'u'lláh had often used the term 'Hands' in earlier Tablets such as the Súriy-i-Haykal* and others without referring to any particular person; secondly, there was no apparent change in the activities of these souls after their appointment, since they continued to be always engaged in promoting the Cause and assisting the believers in their manifold activities. For instance, Bahá'u'lláh confirms in a Tablet2 that from the early days of His arrival in 'Akká He had instructed Mullá 'Alí-Akbar to be engaged in the protection of the Cause. The friends began to understand the functions and duties of the Hands of the Cause gradually, as the years went by. This happened especially during the Ministry of 'Abdu'l-Bahá when He directed them to carry out certain duties as a body. In order to appreciate the function of the Hands of the Cause, let us examine some basic principles of life and creation. In a Tablet3 revealed in honour of His Trustee, Hájí Abu'l-Hasan-i-Amín, Bahá'u'lláh states that movement is caused by heat, and heat by the Word of God.† This is a profound statement, the first part of which is proved by science, the second taught by religion. This pronouncement is not only valid physically, but has deep spiritual significance as well. Religious enthusiasm and fervour are generated by the warmth of one's heart. * see vol. 3, chapter 7. † For more information on this topic see above, pp. 42-3. 2. Unpublished compilation, National Archives Committee, no. 22, p. 9.
his heart is warmed by the fire of the love of God. In simpler terms this means that when the love of Bahá'u'lláh enters the heart of a believer, he will feel exhilarated and uplifted. It is then that he will be motivated to serve Him. If service to the Cause is rendered without spiritual fire and love it will be ineffective in the end, even though at first it may appear to be successful. To serve without burning love within the heart results in frustration, despair and confusion. In this case the individual may experience great difficulties in his faith. Service rendered to the Cause, when motivated by a believer's love for Bahá'u'lláh, will become a means of drawing closer to Him, whereas service with an ulterior motive renders him egotistical and deprives him of true happiness. We have learnt from the words of Bahá'u'lláh that the Word of God is the cause of producing the heat whereby creation has come into being. This is also true in a spiritual sense. Only the Word of God can light the flame of love in the heart of a believer, and then only provided the individual succeeds in severing his attachment from the things of this world. Those who attained the presence of Bahá'u'lláh experienced the power and majesty of the Word if they were pure in heart. Those who were not pure in heart did not receive this bounty, even though they were very close to His Person. The best example of this is provided by some of the sons and daughters of Bahá'u'lláh who were in attendance for years and yet were the remotest from Him in spirit. 4. Hidden Words, Persian no. 56. Hands of the Cause, themselves highly exhilarated by the love of their Lord, made towards enthusing and arousing the believers and enabling them thereby to draw nearer to Bahá'u'lláh. These devoted souls warmed the hearts of the friends by the fire of their faith which burnt brightly within them. To commune with these holy souls was to commune with God, and to hear their words was to hear the Word of God. We can see, therefore, the vital role with which the Hands of the Cause were entrusted by Bahá'u'lláh. By virtue of the fire which raged within their hearts they were able to ignite others. Of course this role is not limited to the Hands. Any believer who is aglow with the love of God can impart the fire of his faith to others. The history of the Faith has recorded the names of many immortal teachers of the Cause who have been endowed with this quality. Although Bahá'u'lláh appointed only four Hands of the Cause, He indicated that there were others whose rank He had not divulged. For example, Hájí Amín, the Trustee of Bahá'u'lláh, wrote Him a glowing report about some meritorious services rendered by one of the Afnáns in Yazd. In response, Bahá'u'lláh stated in a Tablet5 that He knew there were some believers in that land who were accounted as Hands of the Cause in the sight of God, but through His wisdom He had not outwardly revealed their names, although in reality they were well known among the Concourse on high, the denizens of His Kingdom. * see below, pp. 329-31. 5. Unpublished compilation, National Archives Committee, no. 15, p. 96.
names, as indicated by Bahá'u'lláh, were not revealed in this life. In another Tablet to one of the Afnáns7 Bahá'u'lláh mentions that owing to the lack of capacity of the peoples of the world, the ranks and stations of believers have not been disclosed. In yet another Tablet8 Bahá'u'lláh declares that any believer who has heard the call of God in this day, turned His whole being towards His Most Exalted Realm, and detached himself from every earthly thing, is reckoned as a Hand of the Cause among the people. It must be made clear, however, that no one is qualified, nor has the right, to nominate a believer as a Hand of the Cause, except Bahá'u'lláh, 'Abdu'l-Bahá or Shoghi Effendi. 'Abdu'l-Bahá states in one of His Tablets10 that the Hands of the Cause are those souls who have been appointed by the Most Exalted Pen, or who have been addressed by 'Abdu'l-Bahá with that designation. 7. Unpublished compilation, National Archives Committee, no. 23, p. 273. 8. Áthár-i-Qalam-i-A'lá, vol. 6, p. 327. 9. Cited in Má'idiy-i-Ásamání, vol. 2, p. 13. Hands, held consultative meetings together, and became known in the community as occupying a position of spiritual leadership. During the Ministry of 'Abdu'l-Bahá these four could be seen to have created the nucleus of a sacred institution which was further developed and consolidated during the ministry of Shoghi Effendi, constituting one of the twin arms of the Administrative Order of Bahá'u'lláh. One of the four, Ibn-i-Asdaq, lived long enough to serve the Guardian during the opening years of the Formative Age. 'Abdu'l-Bahá did not appoint any Hands during His Ministry. He only referred to a few outstanding believers posthumously as having the station of the Hands of the Cause: they are Mullá Sádiq-i-Khurásání known as Ismu'lláhu'l-Asdaq,*	Nabíl-i-Akbar,† 'Alí-Muhammad-i-Varqá,‡ and Shaykh-Ridáy-i-Yazdí.§ According to the provisions of 'Abdu'l-Bahá's Will and Testament Shoghi Effendi, the Guardian of the Faith, appointed some Hands of the Cause. During the last six years of his ministry he appointed thirty-two; he also appointed ten souls posthumously as Hands of the Cause. * see vol. 3, pp. 62-3, 253-60, 266-7. † see vols. 1 and 2. ‡ see above, ch. 4. § Since there are one or two others by the same name, it is not possible to identify him. 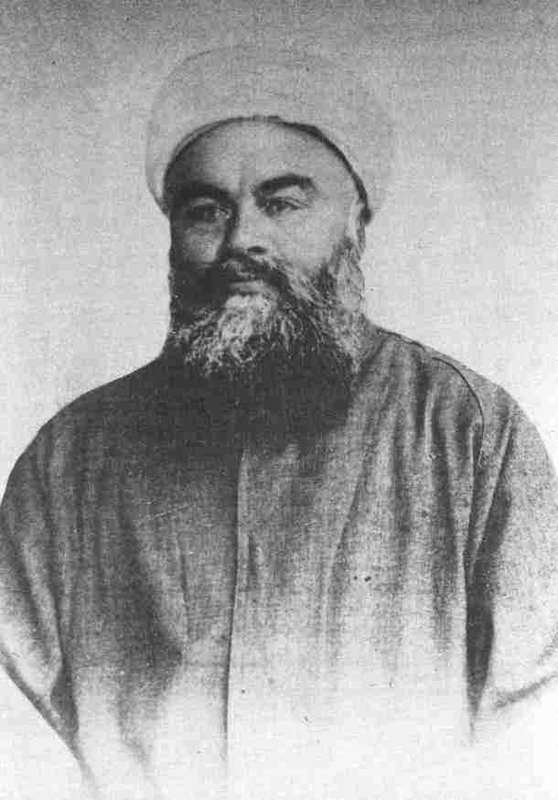 However, some believe strongly that he is Mullá Muhammad-i-Ridáy-i-Muhammad-Ábádí. For his life story see vol. 1, pp. 84-91.
ø For an explanation of this term see vol. 2, pp. 39-43. 11. Cited in Má'idiy-i-Ásamání, vol. 7, p. 36.
when confronted with tests,* they eventually revealed their true nature and perished spiritually at the end. The stories of a few such people who lived during the Ministries of Bahá'u'lláh and 'Abdu'l-Bahá have been described in previous volumes.† This condition, however, is not exclusive to the early days of the Faith. It exists today and will exist in the future also. The greatest enemy of a believer and the most formidable barrier between him and God is self and evil passion. Should a person become a captive of his own base and appetitive nature he will be denuded of his spiritual qualities, and at the end will turn into a darkened self. 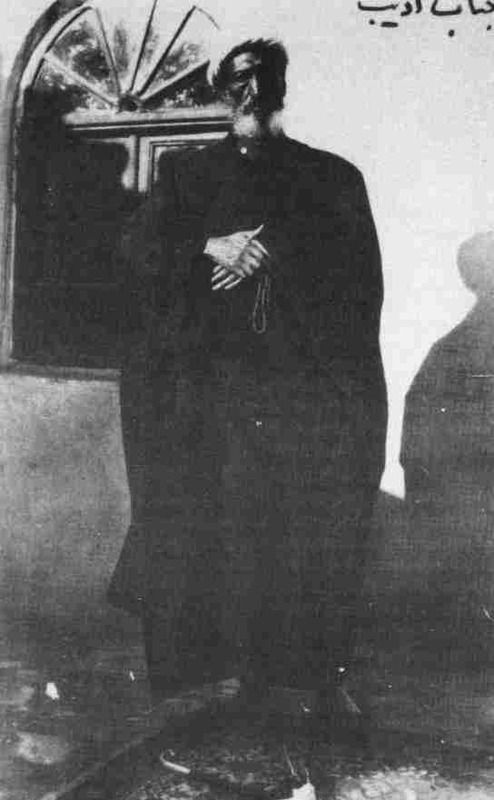 In several of His Tablets Bahá'u'lláh pays tribute to the devotion and self-sacrifice of the Hands of the Cause, describes their main functions as the diffusion of the divine fragrances and the protection of His Cause, and prays that they may be assisted by the Almighty to serve His Faith, to guide and enthuse the believers and at all times be ready to carry out His commandments. In a Tablet to Mullá 'Alí-Akbar12 Bahá'u'lláh calls on the Hands to help the believers become aware of the laws and principles of the Faith and exert every effort to carry them out. In a Tablet13 He states that the Hands of His Cause circle around His Will, and do not speak except by His leave. He declares that through them the standards of the oneness of God have been raised among people and the banners of holiness unfurled in all regions. Bahá'u'lláh further testifies that the inmates of the highest Paradise, the denizens of His Kingdom, and beyond them the Tongue of Grandeur, bestow upon them their blessings and salutations. * For an explanation of the necessity and wisdom of tests see vol. 3, pp. 47-9. † For example, the story of Jamál-i-Burújirdí and Siyyid Mihdíy-i-Dahají, and the Covenant-breakers in vol. 2. 12. Unpublished compilation, National Archives Committee, no. 15, p. 385. * see below, ch. 22. 15. Tablets of Bahá'u'lláh, p. 83. During His lifetime Bahá'u'lláh directed the Hands to consult among themselves and with other believers on issues which were vital for the growth and development of the Bahá'í community. For example, Ibn-i-Abhar, one of the Hands, had posed the question of the well-being and prosperity of the Bahá'ís of Persia. In a Tablet17 revealed in 1889 Bahá'u'lláh in response states that one should adhere to any means which may become the cause of the exaltation of the Word of God, the elevation of the minds and souls, the upliftment of the station of man, and the achievement of those things which benefit humanity. He then asserts that the answer will come through consultation. He urges Ibn-i-Abhar and the other Hands to gather together and invite a few devoted souls who have attained the station of certitude in the Faith and are observing the teachings, to join them in consultation about the various affairs. The next step, Bahá'u'lláh advises, would be to rely on God's confirmations and carry out the decision reached. He assures them that if they do this, they will be inspired by Him to achieve that which is the cause of prosperity and salvation. 16. Letter dated 19 May 1969 to a National Spiritual Assembly. 17. Mu'assisiy-i-Ayádíy-i-Amru'lláh , p. 425.
various issues, sometimes deliberately declined to give guidance when asked for advice and instead urged the questioner to seek consultation on the subject. For instance, Ibn-i-Abhar once sought guidance from Bahá'u'lláh as to where he should reside in Persia. The answer was that first he ought to seek consultation with some souls who were well-assured and steadfast in the Faith, and then implement their decision. It is apparent from these statements that the consultative meetings of the Hands of the Cause in which the affairs of the community were consulted upon were in operation long before the establishment of local and national spiritual assemblies. Indeed, the consultative meeting of the Hands evolved into the Spiritual Assembly of Tihrán, the first assembly in the Bahá'í world. The consultative meeting of the Hands usually consisted of the Hands and those whom they invited to take part, but these were not always the same individuals. Discussions were mainly concerned with propagation of the Faith and its protection. 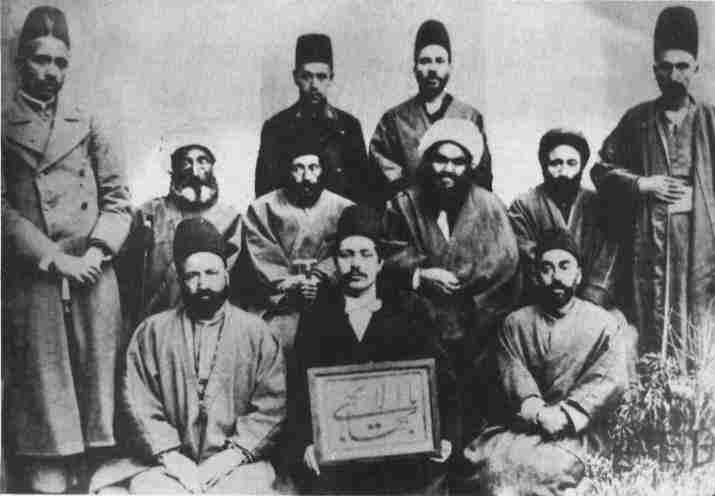 In 1899 'Abdu'l-Bahá instructed the Hands of the Cause to establish the first elected Spiritual Assembly of the Bahá'ís of Tihrán. The details were left to the Hands. Unlike the present system, in which the whole Bahá'í community in a town takes part in the election of the Spiritual Assembly, the Hands invited a number of well-known Bahá'ís of Tihrán to be the electors. 18. Unpublished compilation, National Archives Committee, no. 15, p. 71. These elected the members by secret ballot and the Hands were permanent members who actually issued credential papers for each elected member and invited them to serve on the Assembly. It is interesting to note that one member of the Assembly, Mr Síyávash, was of Zoroastrian stock, and another, Mr Javáhirí, of Jewish background. This was a very significant development in the Bahá'í community, for in the early days the believers in Persia were not fully integrated. They were known as Bahá'ís of Muslim, Zoroastrian or Jewish backgrounds. The integration began at a slow pace during the time of the Master and gained momentum as intermarriages, though few at first, took place. 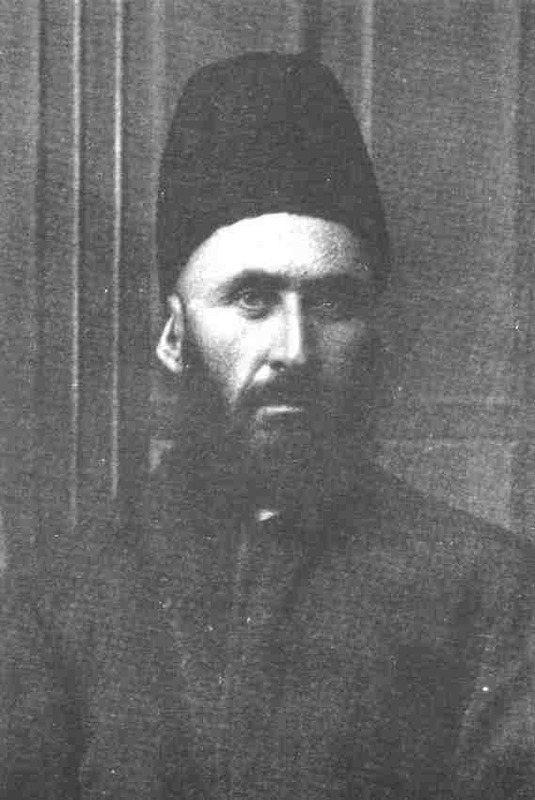 Ibn-i-Abhar, one of the Hands of the Cause, gave his daughter in marriage to a Bahá'í youth of Jewish descent and this practice became universally acceptable among the Bahá'ís of Persia. During the Guardian's ministry every trace of division within the rank and file of the believers was eliminated. Today it is a difficult task to know who is from which background in the Bahá'í community. It is obvious that every nation has its own prejudices. When people enter the Faith of God they are bound to bring with them various unacceptable practices to which they have been accustomed. But as the believers grow in the Faith and become more mature Bahá'ís, and especially when they enter into the arena of service to the Cause as teachers or administrators, they gradually become purged of their prejudices and are increasingly able to employ the teachings of Bahá'u'lláh in their individual as well as collective lives. The Hands of the Cause, while serving on the Spiritual Assembly of Tihrán, reserved for themselves the right to cast two votes each during consultation. This practice continued for some years until 'Abdu'l-Bahá gave directions to change the system and to establish the principle of one vote for each person. Of course 'Abdu'l-Bahá had every confidence in the Hands, but He explained that if this practice were not stopped there could be great difficulties in the future. He gave the example of the time when influential people such as kings would enter the Faith. They could use this practice as a precedent and arrogate to themselves the right to cast multiple votes. * In the mid-1920's the government of Persia made it obligatory for every person to adopt a surname. Before that people did not have surnames.